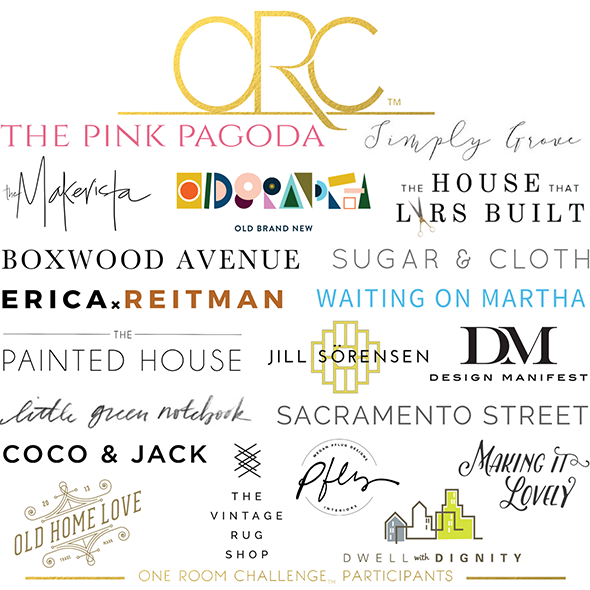 I know a lot of you love the One Room Challenge as much as I do and I am SUPER excited to share that I’ll be participating this season! Over the next six weeks we will be taking you along as we completely transform the master bedroom over at the Gentry Project. We will be posting our progress every Wednesday, so be sure to check in each week! 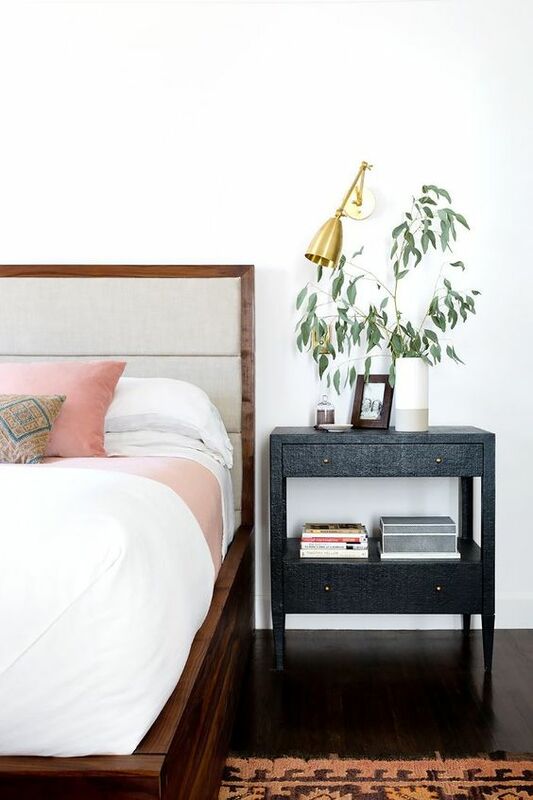 This bedroom has already been a work in progress for quite some time. If you follow along on my Instagram stories, you might remember some of these super ugly before images! The room looks CONSIDERABLY better just after demo, am I right?! 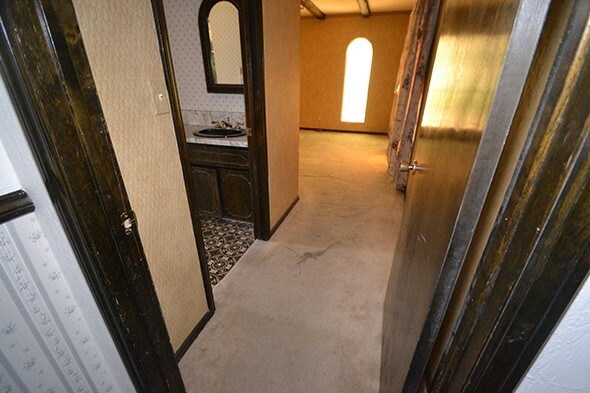 We took out the carpet and removed the peeling wallpaper. And we changed the single-paned arched windows to squared-off energy efficient windows. Much better! Here is the room in it’s current state. The floors have been installed and we are pretty much ready to dive right in! 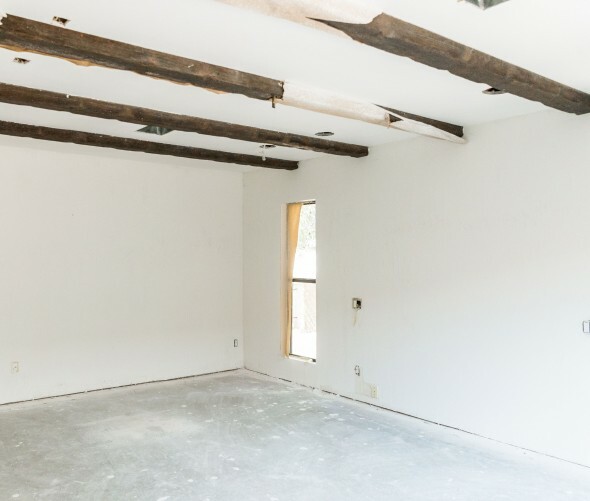 We are considering painting the beams and I think that will help it feel a little more restful in here! What do you think? 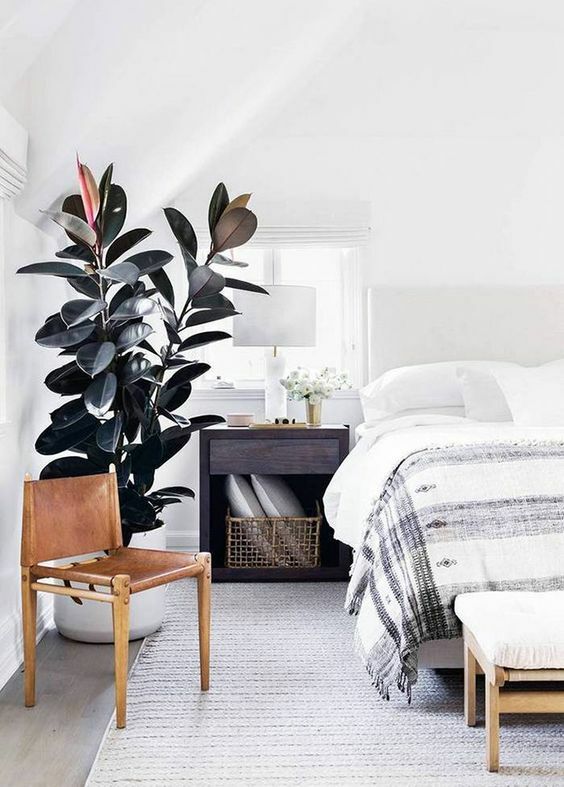 While we want to create a soothing and serene master bedroom, I don’t want this space to be lacking in playfulness or texture. Here are the inspiration images we pulled for this challenge and a very loose concept for our floor plan. I can’t wait to get started! Make sure you follow along with all of the other participants!! 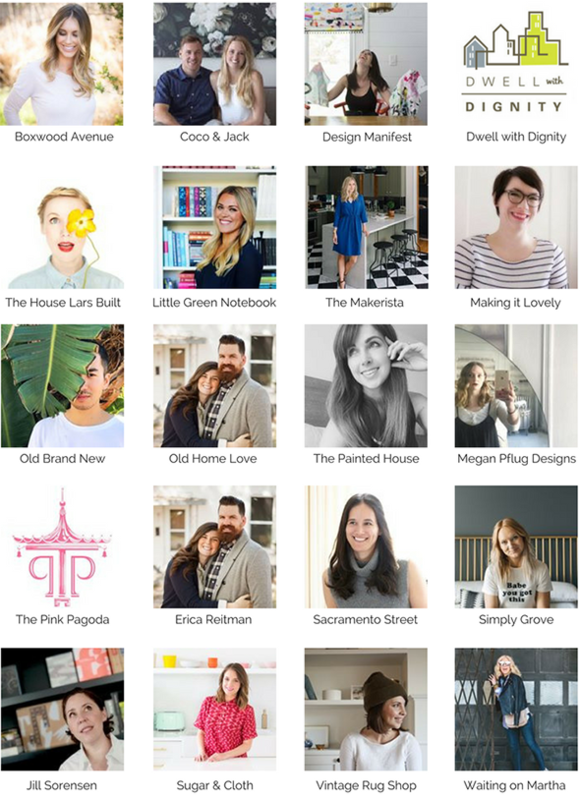 All of us will be posting every Wednesday morning for the next six weeks, so don’t forget to click though and see all the rooms these talented friends will be tackling.! 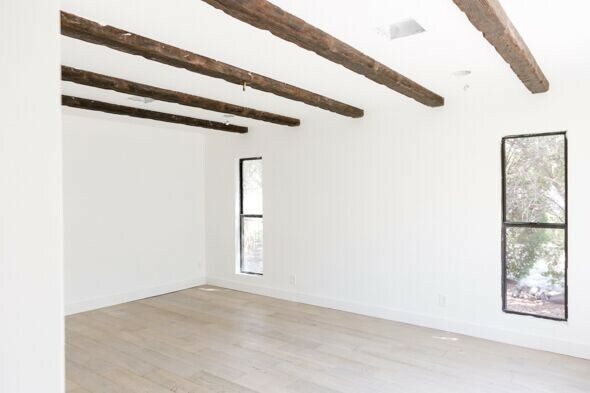 Oh I LOVE the beams! They add so much character. 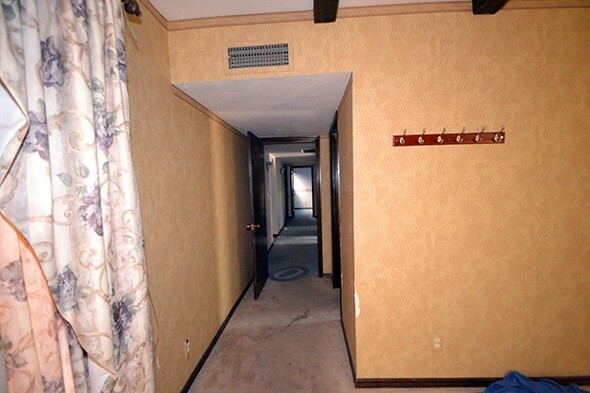 And seriously – after demo it looks like a completely new space. Can’t wait to see you put it together, it’s going to be beautiful! Do it! Paint the beams! They are dark enough, faux, and with low enough ceilings to warrant painting them sans regrets. Curious if you would paint the same as the walls? Or subtly tinted (think https://www.instagram.com/p/BF2wQC4ohF6/?taken-by=oldhomelove)? Or something totally different? It’s already looking great! I can’t wait to see the final room since I’m doing my Master bedroom too for ORC! Good luck! Love all the inspiration images. The floors and walls are the perfect backdrop and I can’t wait to see more. I LOVE the inspiration. what a big beautiful blank slate. can’t wait to watch it come together! I’m so excited to see where you take this space. You’re seriously a design God and I’m in love with everything you do. :) Question for you, I’m always so curious to know the dimensions of spaces as it really helps translate to adopting your fantastic ideas into my own livable spaces. 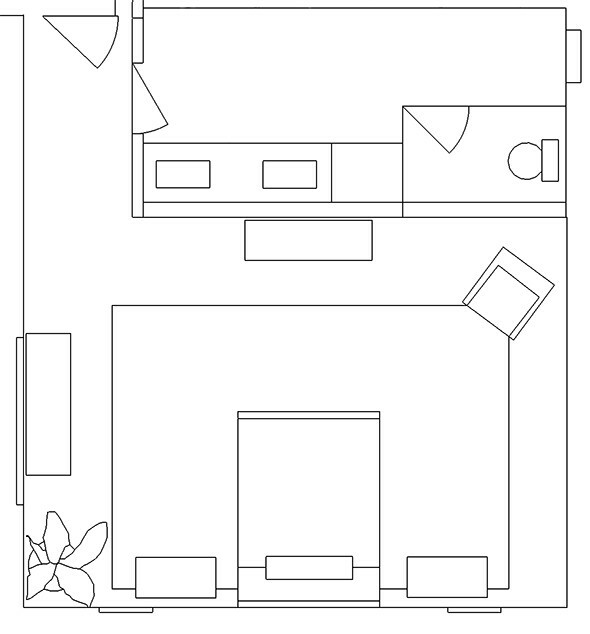 Can you share/add the room’s overall dimensions??? I definitely should have included the dimensions in the post! I’m the same and love knowing the scale of the space as a reference. It is about 19′ long and 14’deep. A pretty good size space! We have enough room for a little reading chair and a bench I think! Super excited! Thank you so much! My space is 17×12! so this totally helps give perspective. all the best in this project, can’t wait to see it’s progression. You have some gorgeous inspiration photos there! 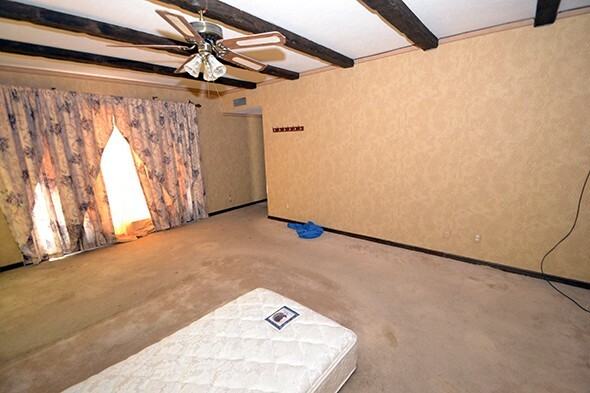 I’m torn on the beams. They could be beautiful with the right design. But then again, they could also be a distracting eyesore. Would whitewashing them keep the texture, but soften the contrast? Hmmmmm. That’s a tough one. Looking forward to seeing your decision and to seeing how it all comes together! This is going to make for some amazing before and after photos!!! Can’t wait to see how it turns out. I just love the ORC! This is exactly the sort of home I like to buy. 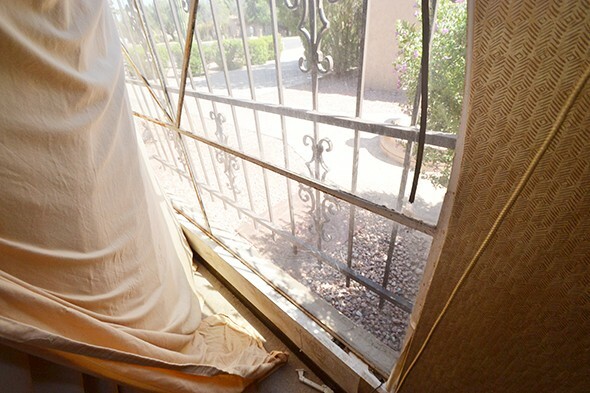 I read about the project – I’m down the road in Tucson and hope to see it when you are done. 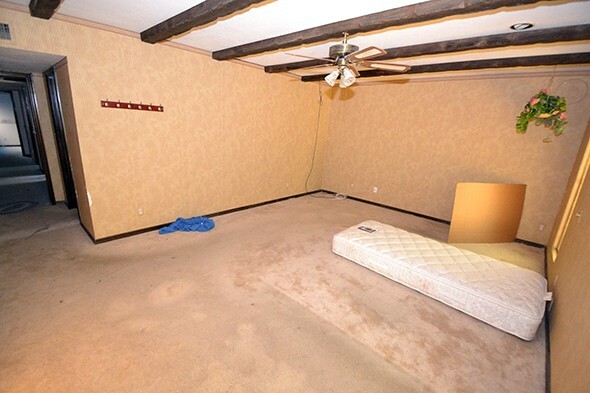 Stoked to see what you do to this space! 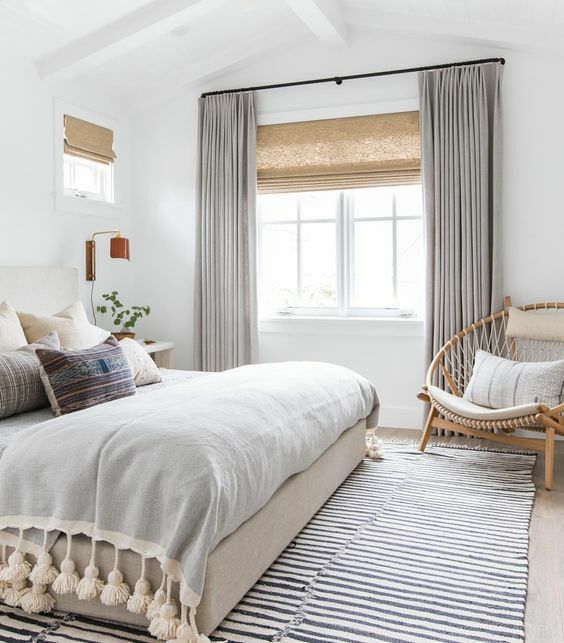 oh my goodness you’re going to make me want to re-do my bedroom even though I just did! Can’t wait to see where you take it. I can’t believe the difference removing the wallpaper and carpet has already made! Holy cow! 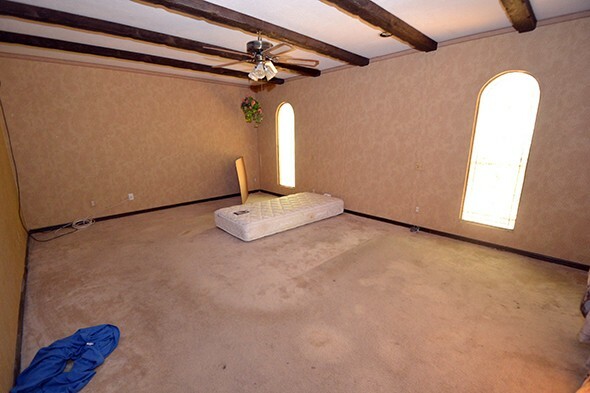 Those before pics are truly hideous; I can’t wait to see how gorgeous this room is when you’re done with it! what program do you use to make your floorpans? this room is going to awesome! oh this is going to be so beautiful! 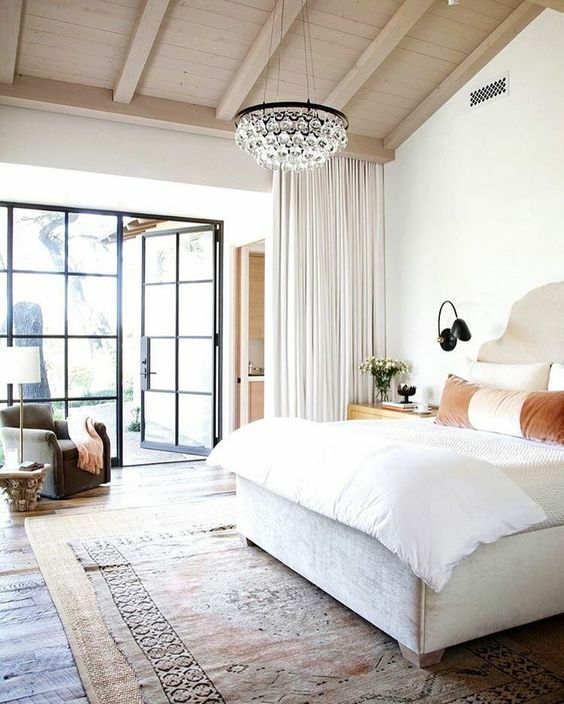 a serene, restful retreat. can’t wait until Week 2 to see your progress! Wow! It’s better already! What a difference demo can make! I can’t wait to see the rest. 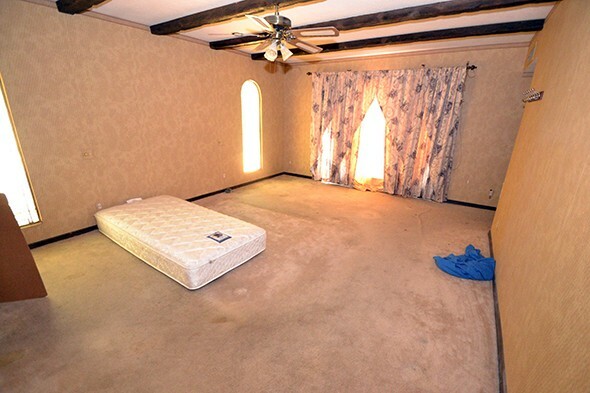 This room has amazingly bones! What an exciting transformation this will be. 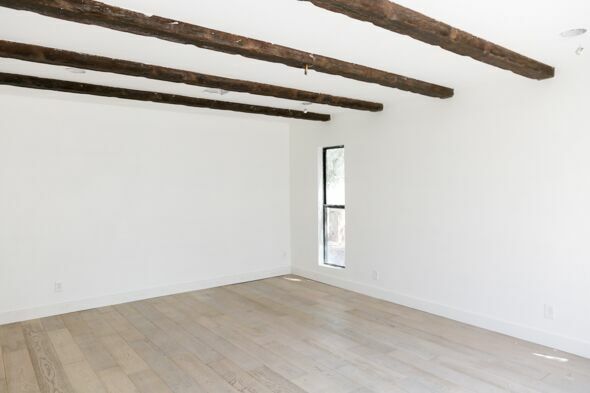 What about some sort of wash on the beams instead of straight up paint? Maybe something closer to the floor color? Can’t wait to follow this makeover! What a huge difference those windows make! So much more modern. I can’t wait to see how this progresses. Hi Lynne! I linked to them in this week’s post! They are from Lumber Liquidators called Delaware Driftwood! They’re SO GOOD!